I hate to sound dtupid but I'd like you guys to checkout a rumour my friend told me about this phone.The rumour I've heard is this:The data transfer limit is 1MB on this phone when transferred via infra-red and bluetooth (and may also apply to transfers made via the data cable for this phone).I'd also like to know whether this phone comes with a data transfer cable as standard or not. By the way I raelly like this phone overall. Greate phone! Finally a phone that looks like a phone!We need more of these male phones! I'm tired of all new girlish Samsung , Sony and now Nokia joining them, crappy phones! What's the point of Bluetooth in those thin phones if the batterry cannot handle it?! 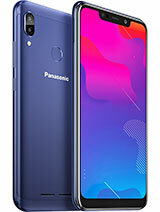 We need to make these new phones so stupidly thin, to the point when you can't hold the phone normally in your hand, to the point when we cannot fit more than 100 or 300 mAh battery into the phone, to the point when your phone will break from the first time falling down! And also to the point when the phone will not be able to dial a phone call! 1)The band setting is usually in networking menu of the phone (that's how it was on my Panasonic x300 at least). 3)In case you find out that you are in Cingular's 850 area, break the contract with them and go for T-Mobile! 16M colors and Bluetooth which both need 1660 mah batterry to handle its functions! On average using energy saving settings (key light off, backlight min. etc.) I could use it for ca. 12-14 days whith a call duration of ca. 5-6 hours in this period. I think it's outstanding compared to other phones. How do you change the band on this phone. I have Cingular, and cannot set it up properly. Cannot get the web browser to work and cannot get it on the cingular net. it just says its roaming!? Yeah. 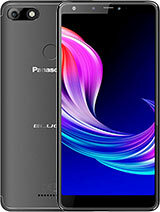 Can this phone (MX7) change faceplate just like VS7 ? 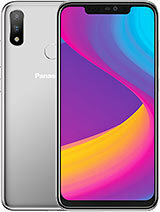 I just bought this phone. I use to have the Gu87 and I loveeeeeed it, had it for 3 years and in the last week it started getting 0 reception. I bought the Mx7 and so far I like it. Let me tell you, this phone is HUGE, i put it next to my friends razor and it is twice the size of it (width) I will keep playing with it and report back, but so far, my only gripe is the size. Bring the over priced megapixel junk from Nokia , Sony and Samsung down! This is the normal price fo 2mp sensor! 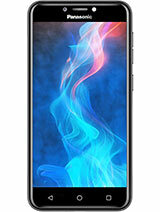 Guys i will have this phone within 3 days, just payed for it.. If you want email me with your queries and i will endevour to answer them as quickly as possible! Where can I buy it? only on ebay? Does this MX7 only have English version? or have traditional Chinese version, too? how loud is the ringtone on this? 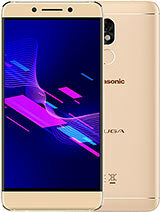 does anyone that has used or currently owns a panasonic mx7 know whether one can select in the menu of this phone between phone memory in use of sim memory? can one copy contacts from sim to phone memory and then select that only the phone memory be used? can someone put a link where I can see photos taken with mx7? What is the difference between the MX and the VS version ? They look the same to me. my friend has this model when i saw the screen i said "WOW" my nokia 6630's screen kinda look like 65k only when compared side by side! one of the drawbacks of MX7 is that it does not have mem expansion and FM radio otherwise superb phone especially the macro mode, it is really working, you can read texts printed on a newspaper taken with the 2mpx camera! and besides my friend's cel last around a whooping 4-7 days of normal usage, excellent battery! 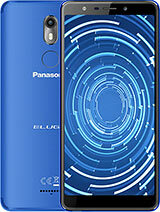 panasonic hurry up on re-constructing ur mobile org and announce excellent 3G phones very soon! speaking of that, i just hope that "P901iTV" also becomes available outside of Japan so we can enjoy analog TV broadcasts (which means FREE local TV watching)! i use my phone for at least an hour and a half of striaght talk time a day, and i often use the camera, or play with it and it lasts about a week. i usually kill my motorola phone in 2 days, so my mx is pretty good i'd say.